Since Barack Obama came into office the ancient Christian world has been decimated in the Middle East. Ancient monasteries and holy sites have been demolished and destroyed in several Muslim countries. Barack Obama has not lifted a finger to help persecuted Christians. Hillary Clinton would continue his failed foreign policy. According to one 2015 report one Christian is slaughtered every five minutes in Iraq. ISIS uses Christian churches as torture chambers. 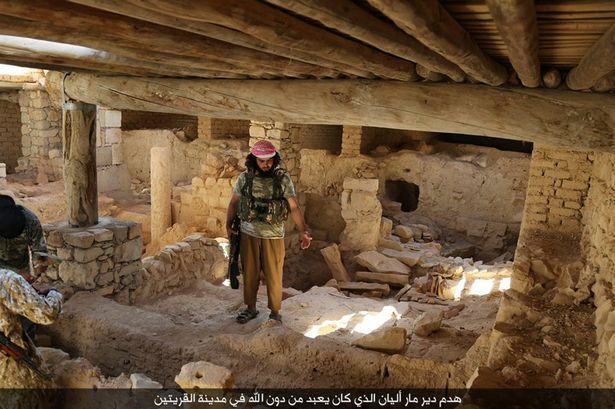 ISIS bulldozed a the fifth century Church of St. Elian near Homs, Syria in April. This week Hungary was the first Western nation to set up an office to address Christian persecution in the Middle East.